There was once a car so small it made the Mini seem like a Big. A car that if you saw one on the streets, you'd swear it was a child's scale replica. That car was the Fiat 500, or Cinquecento en Italiano, and it left such an indelible impression during its 18-year lifespan that Fiat performed a Mini-like resurrection to it three years ago. Now, with Fiat purchasing Chrysler last year, the 500 has been chosen to be the pioneer model to reintroduce the Fiat brand to North America. 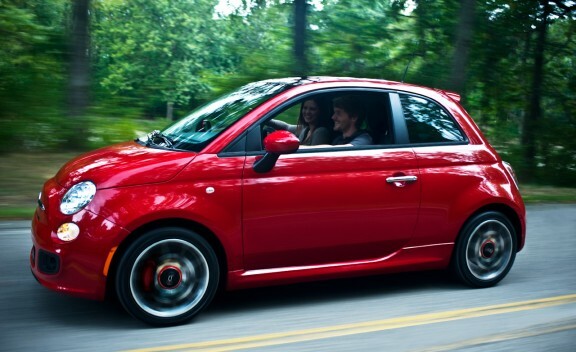 The 2012 Fiat 500 certainly has the potential to be the next big (or rather, small) thing. While the original 500 was the size of a Little Tikes Cozy Coupe, the nuova 500 looks far more like a regular car -- albeit a tiny one. Compared to a Mini Cooper, it's 6 inches shorter in overall length and 2 inches narrower. However, it is also more than 4 inches taller, allowing for an elevated seating position that not only increases visibility but creates more interior legroom. Initially, there will be one engine offered: a 1.4-liter 101-horsepower four-cylinder attached to either a five-speed manual or six-speed automatic. No, that doesn't sound like a lot of power (and it isn't), but at only 2,350 pounds, the Fiat weighs 218 pounds less than the 121-hp base Cooper, which manages to be reasonably sprightly. It's an energetic engine that sounds happy to work hard, but we'll still keep our hopes up for Europe's hot Abarth 500 model as well as the impressive TwinAir turbocharged two-cylinder that promises fuel economy in the range of 57 mpg. 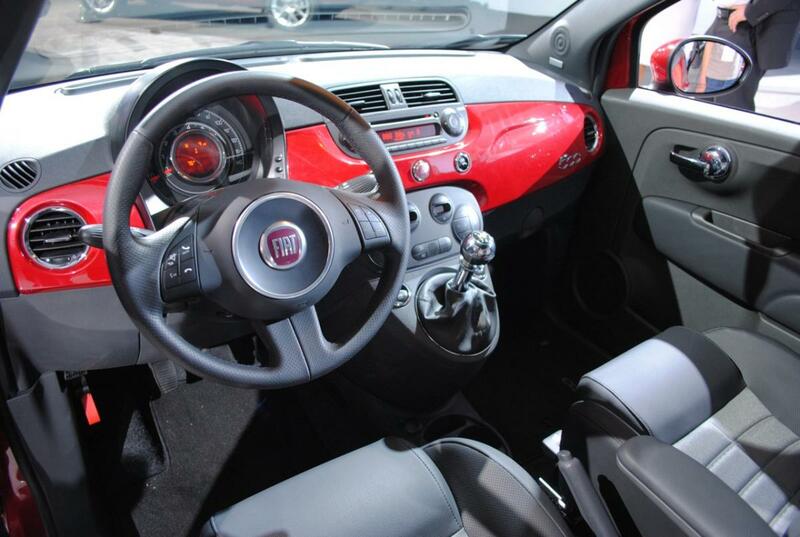 Like the Mini Cooper, the 2012 Fiat 500 promises lots of character and personalization in a price category not usually known for it. It's also competitively equipped, but you could easily leave the dealership with a reasonably optioned 500 for nearly two grand less than the Mini's base price. The 500 barely tops $23,000 when loaded to the gills. Of course, cars like the Ford Fiesta, Honda Fit and Mazda 2 offer more room for even less. Last edited by HMT-Roger; 09-11-2011 at 08:56 PM.